Bruno Tonioli is a Primetime Emmy Award-nominated Italian choreographer, dancer, and TV personality. He is well known for appearing as a judge on ABC's Dancing with the Stars and 'Strictly Come Dancing,' the original UK version of the show. Bruno Tonioli was born in Ferrara, Emilia-Romagna, Italy on 25th November 1955. He is the son of Werther Tonioli, a cars painter and Fulvia Tonioli, a seamstress. Growing up in a working-class family in Ferrara, Italy, Tonioli along with his family lived with his paternal grandparents until he was 12. Additionally, he admitted in one of his interviews that he suffered various forms of homophobic bullying during his childhood. Bruno started his dance career at the age of 18 in Paris. During his struggling time, Bruno worked as a freelance Dancer and engaged for companies like Lindsay Kemp Company and La Grande Eugene. Later on, he joined the music business and began to choreographing for various music videos, stage shows, and tours. Furthermore, Bruno made his appearance on the several movies and television series like The Blonde Bombshell, The Scarlet Pimpernel, Bring Me the Head of Mavis Davis, Fuller House, Absolutely Fabulous: The Movie, The Bill, Murder of a Moderate Man, Oscar and much more. From 2009 to 2010, he became a judge on the UK tour of Strictly Come Dancing Live. Currently, he is a judge of Dancing With Stars since 2005. Besides that, he is also an author. In September 2012, he released an autobiography, Bruno Tonioli: My Story. Throughout his career, he has garnered the Primetime Emmy Awards nomination two times in 2006 and 2007. Also, he was chosen for the Teen Choice Award in 2007. 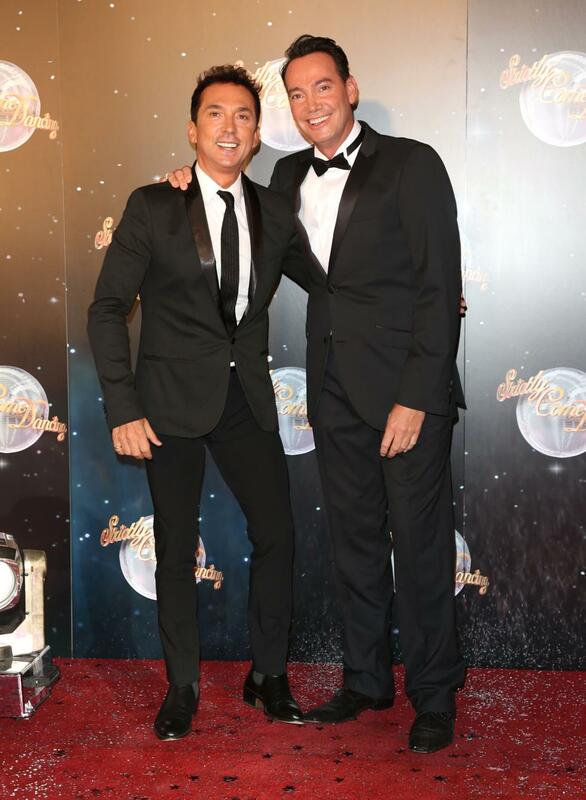 Bruno Tonioli is openly gay, and he is a supporter of gay rights. Moreover, he is a motivational speaker. His speaking on the subject has helped teens and young adults worldwide. He married his partner, Jason Schanne in 2012, following the wrap party of the 14th season of "Dancing With the Stars." Guests included Perez Hilton, Johnny Weir, and Evan Lysacek. The two were dating since 2000. Tonioli was also in a relationship with a man named Paul back in 2005. But the relationship did not work out and separated later. Bruno faced a controversy due to his comments to U.S. ‘Dancing With the Stars’ participant, Michael Bolton and dance partner, Chelsie Hightower. The debate began on 27 September 2010, when he described Bolton’s jive dance the worst he had seen in all 11 seasons. Additionally, after he felt Shirley Ballas’ breast in the first week while giving feedback on Alexandra Burke’s performance, he beat a fair amount of controversies. Furthermore, his comment on Davood Ghadami and Nadiya Bychkova’s play was also termed controversial by many. Additionally, it was admitted that he warned to quit the show ‘Strictly Come Dancing’ during October 2016. Being a well-known star, Bruno is paid the huge salary of about $2.4 million per season of 'Dancing with the stars' since 2014. Bruno and his co-judge, Craig Revel Horwood of Strictly Come Dancing reportedly earns £110,000 for each series. Allocating information from several sources as of 2018 it is found out that Bruno Tonioli current estimated net worth is around $10 million.